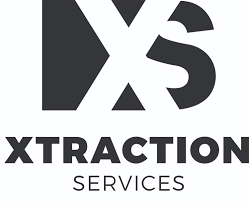 Xtraction Services provides state-of-the-art, fully-automated, supercritical CO2 extraction machines with on-site staffing at no upfront cost, and a simple volume-based pricing model. Designed by thermal dynamics engineer, Dr. Dwayne Dundore, XS is the premier extraction machine created specifically for cannabis. Xtraction Services takes this model to the next-level, by also offering trained professionals to oversee, manage, and operate the entire extraction process. By removing the upfont cost for all machines and staffing, in addition to standard operating procedures, oil extractors are no longer limited by cash on hand or the need to expend resources raising dilutive equity/high cost debt. For 30 years, Dundore has designed, built, and deployed some of the largest supercritical extraction units in the world for SAIC, General Atomics, and the U.S. Department of Defense.